These days, the internet has made lots of options available at our fingertips. From electronics to clothing, and even groceries, anything can be bought from anywhere at anytime. But it may not always be the right choice. We understand that buying online in a lot of cases is easier and cheaper than driving around to find what you need. But there are good reasons why you should never buy plantation shutters online. Going the D.I.Y. route and deciding to buy plantation shutters online leaves a lot of room for error. If you’re not extremely handy person, you could end up with the wrong size, color, or type of shutters. Many online companies have a specific disclaimer that any wrong measurements made are at the fault of the consumer. Also, any mistake during install is there to last a long time. When investing in custom shutters, the last thing you want is for them to be not absolutely perfect. By using a local company, you can avoid poorly made, poorly installed shutters. From beginning to end, a local professional shutter company will make sure your shutters are exactly what you envisioned. Not only will you not have to depend on your own measuring method, but you won’t have to worry about installing shutters by yourself either. 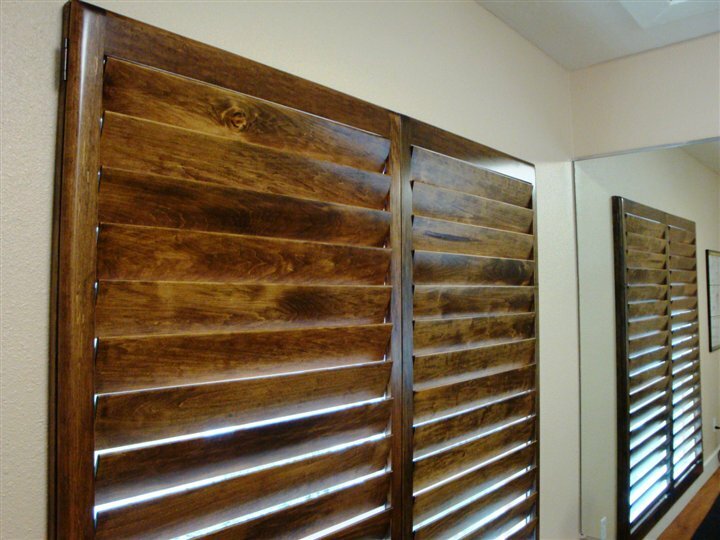 Mass production is what usually brings down the cost of online shutters, making them not-so-custom after all. Colors and stains cannot be matched perfectly and the quality is most likely not what you’d receive with a professional shutter company. In the end, if you really want to improve your home’s worth and have it looking the best, your best option is to hire a local, qualified custom shutter company. A local company like Clearview Shutters has your best interests at heart and will make sure your shutters exceed your expectations. Utilizing innovative design and extreme attention to detail, Clearview Shutters ensures durable, beautiful shutters that will last.